Ellis Marsalis is an American musician. He can usually be seen performing on Fridays at Snug Harbor jazz bistro in New Orleans. In May, 2007, Marsalis received an honorary doctorate from Tulane University for his contributions to jazz and musical education.On December 7, 2008, Ellis Marsalis was inducted into The Louisiana Music Hall of Fame.Marsalis and his sons are group recipients of the 2011 NEA Jazz Masters Award. 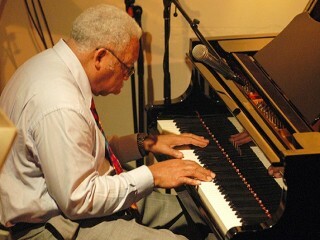 View the full website biography of Ellis Marsalis.